Ultracel GEL battery 12V 250Ah. 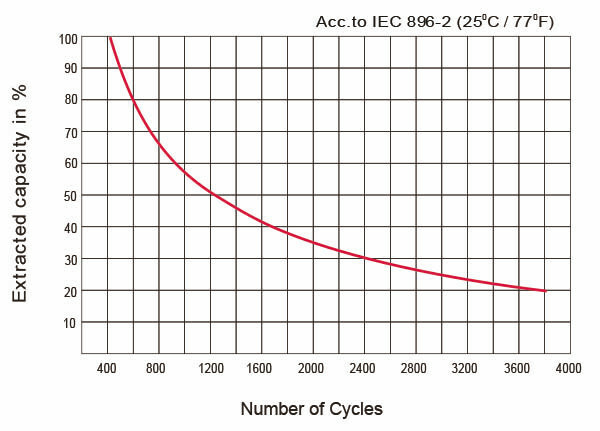 Cycle Applications : 500 to 50% discharge & 1200 to 30% discharge. Dimensions (mm) : 520 x 268 x 220. By buying this product you can collect up to 53 loyalty points. Your cart will total 53 points that can be converted into a voucher of 15,90 €.
" Ultracel GEL battery 12V 250Ah "
A gel battery to withstand the discharge to 100% and its rated capacity when discharged holding time is short. This series has a longer discharge time compared to other batteries. The special plate design increases the life of the battery and especially in warmer temperatures. A separator in the battery improves performance. It also has a longer retention time.